Category: Sewing Tips & Tricks : A Cosplayers true nemesis. February 10, 2014 March 3, 2015 by Leaping Lizard Cosplay, posted in Cosplay Tutorials, Miscellaneous, Sewing Tips & Tricks : A Cosplayers true nemesis. This article was featured here! I’m just repeating it here for good measure. 😀 Please check out the amazing website The Word of the Nerd Online. Where to start when talking about fabrics? First off, Hello everyone! My name is Liz and I’m a cosplayer going by the handle Leaping Lizard Cosplay. I live in the beautiful city of Key West, Florida. The thing about Key West is, it’s a tiny island. You can imagine when it came time for shopping around I had difficulty finding a store with a wide variety of cosplay materials. So, I had to start ordering my fabrics online. Thus my quest to understand fabrics began! The next logical step was to figure our what type of fabrics I needed. In the past I would go to my local fabric store and look at their selections and pick the fabric that seemed right for the job. Now, doing things in the digital age, I do not have the ability to physically see or touch the fabric. I cannot hold it in my hands and get a feel for weight, thickness, how it looks or drapes, or its flexibility. You can see the dilemma I am in. I realized two things. First, I really didn’t know anything about fabrics; second, I had to learn. Then it occurred to me, “What about the clothes I own? What are they made of?” I went to my wardrobe and looked closely at the tags. I noticed that my shirt had two separate things listed on it and percentages. I would come to discover that these were the fibers that made up my fabric. When you first start out sewing it can be pretty intimidating. I first started sewing by hand. Then, I started using a machine. My projects at first were simple; buttons, pillows, curtains, and tablecloths. Once I got a feel for my sewing machine, I tackled harder projects and have been slowly expanding my skills. Just like learning Calculus, you first need to learn how to count, then add, then multiply, etc. My point is you don’t turn on the sewing machine and expect it to do magic. 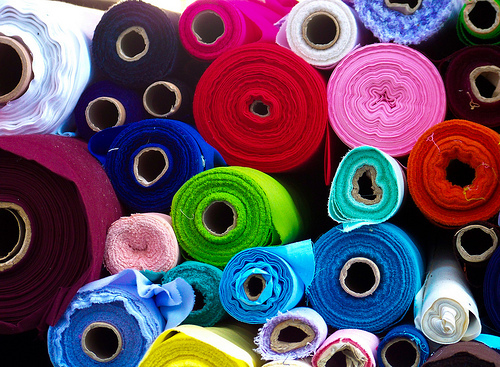 Let’s start with what makes up fabric. Fibers. Care: On a t-shirt, this would be what the tag on the collar says for maintaining your fabric. Should it be machine washed, iron settings, dry cleaned? Durability: This is how well the fabric maintains its stretch. How it shrinks or fades after washing. Texture: How the fabric feels and maintain it’s shape. Also known as the hand of a fabric. Weight: Pretty self explanatory. Is the fabric heavy or light? Natural fibers break down into 3 categories; animal, vegetable, and mineral. For clothing we really only use animal (e.g. silk, wool, hair), and vegetable (e.g. cotton). Pros: Being a renewable resource, natural fibers are 100% biodegradable. Meaning they are eco friendly. 😀 They “breathe”, or allow air to flow; they are easy to dye, and hang loosely. Cons: Natural fibers shrink when washed, but over time they stretch out. Natural fibers also wrinkle and fade. Regenerated fibers and Synthetic fibers. -Regenerated: For clothing we really look at a subset of these fibers that are called Cellulose Fibers. These fibers are regenerate from Cellulose. Cellulose is an important structural component of a primary cell wall in plants and algae. 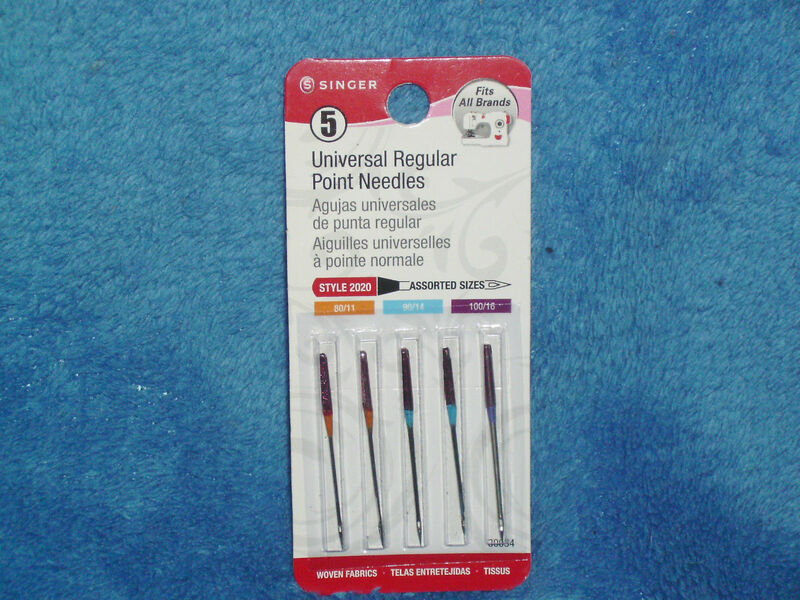 Examples are Acetate, Acrylic, and Rayon. -Synthetic: Made from refined petroleum or natural gas. Examples, Lycra, Microfibers, Nylon, Polyester, Spandex, etc. Pros and Cons: Depends really on each fabric. I plan on expanding this section in another article. 3. Blends: A combination of two or more fibers. This could be natural/man-made, or natural/natural, or man-made/man-made blends. Pros: You get the best of both worlds or the pro’s of both fabrics. A great example would be a cotton/spandex blend. For athletes, you get a loose fitting garment that breathes and retains it’s strength and shape over time. Cons: You get the worst of both worlds as well. The point is, it’s best to know what your getting yourself into before you commit to a fabric blend. Now that I have broken down fibers, we are going to discuss the two types of fabrics made from fibers. 😀 Woven and Knitted. Knits are made from one continuous string of fiber. 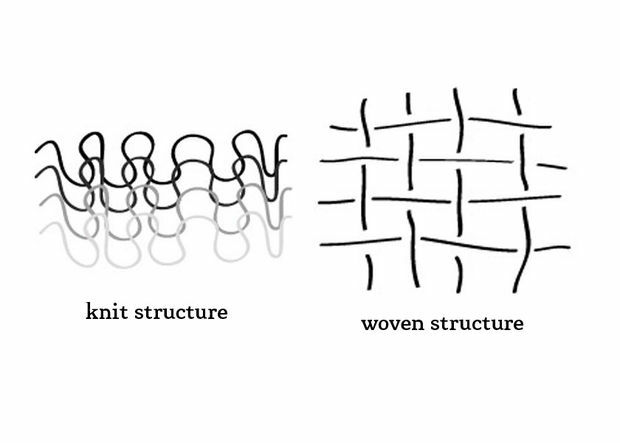 As you can see in the image below, knitted structures are made with a series of lengthwise loops called ribs and crosswise stitches called courses. Knits are more flexible to body type and generally form to the body. ***There are different types of knits as well. 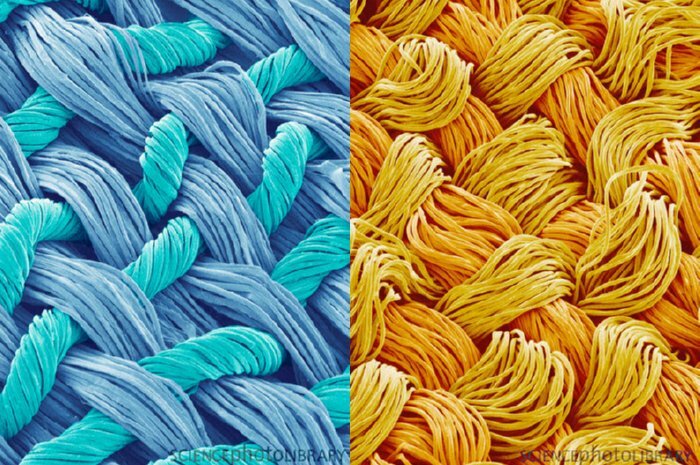 Made on looms with a similar structure to laying the top of a cherry pie, (image to right and above) fibers are interwoven to make the fabric. The lengthwise fibers are called the wrap and provide stability and strength to the fabric. The crosswise yarns are called the filler, weft, or woof. The fabric itself is very sturdy when pulled along the crosswise or lengthwise parts of the fabric. When you pull on the diagonal part of the fabric (say the corner or the 45 degree angle between the lengthwise and crosswise fibers) the fabric will stretch. This area is called the bias. 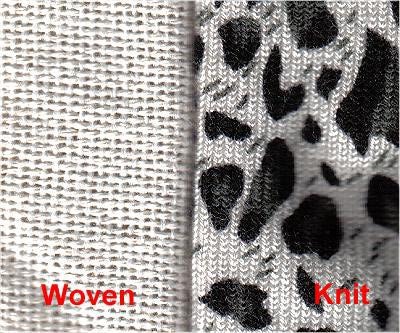 Knitted fabrics stretch easily, but woven fabrics are more known for their stability. Depending on the fiber content the looser/tighter the fabric will be. Liz this is all very interesting…. but let’s get to the real question? So why does this matter at all? I’m glad you asked (self condescending bold font question above). -_-…. I’d like to compare owning a sewing machine to owning a fancy Digital SLR camera and leaving it on auto mode. A sewing machine has different features. It needs different needles for different fabrics (for woven fabrics you need a 2020 needle and depending on the fabric the thickness of the tip matters. For example thick woven fabrics need a 100/10 tip). A sewing machine also needs different feet for sewing different articles on your clothing (Ex. Zipper Foot for sewing on zippers). Much like your camera needs different lenses to shoot portraits versus landscapes. Not to mention you have the thread tension, stitch length, and stitch pattern to worry about. Just like in photography where you care about the dpi, iso, and shutter speed. I don’t want to overwhelm you all, so let’s just skip this part for a later article post. I promise I will return to this subject later on as part of my continuing blogging about sewing cosplays. Next, let’s discuss purchasing fabrics. Keep in mind, if you are working from a pattern, most patterns that you purchase have a list of fabrics recommended for your sewing project. When you purchase fabrics you order them off of the “bolt.” A bolt is a unit of measurement used as an industry standard for a variety of materials from wood to canvas, typically materials stored in a roll. The length of fabric on a bolt is usually between 40 and 100 yards, but varies depending on the fabric. For example, a bolt of canvas is traditionally 39 yards. The width of a bolt is usually between 45 and 60 inches, but sometimes you can find wider or narrower rolls. Just for good measure, a yard of fabric equals 3 feet, or 36 inches. When deciding how much fabric you will need I always recommend going about 1/2 yard more just in case, and remember any leftovers can be used for future projects. I found an excellent picture breaking down the fabric on a bolt. Take note of this information at the time of purchase, because you will need this information again. Ordering online is a quick and painless venture, but mistakes can be made. Some may say making mistakes is part of the learning process. The plus side to ordering the wrong fabric is, I now have a stockpile for future projects. So please keep it in mind, not all is lost. So you have your fabrics?! Let’s get started! WAIT!!!!! Whenever you purchase fabrics, you are always going to have to pre-wash and press them before you ever turn on your sewing machine. Before you do any sewing make sure to wash and iron your fabrics before cutting/pinning them. Machine wash, hand wash, machine dry, hang dry depending on the type of fabric you are working with. This is a necessary step if you plan on wearing this outfit again in the future. 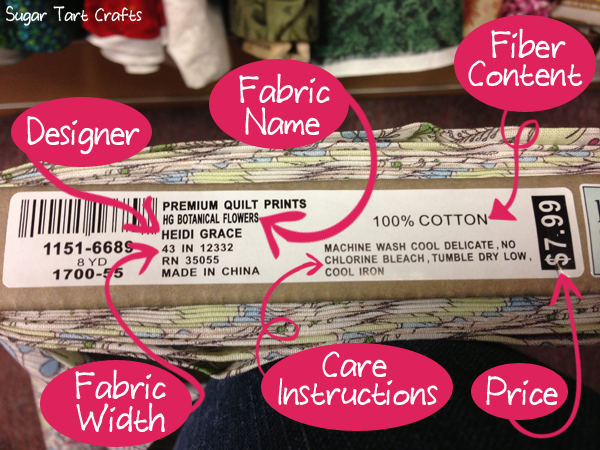 If you are buying your fabrics online, the site should have the care instructions. If you are buying your fabrics in store, you should be able to get the care instructions off of the bolt. (Remember the picture from Sugar Tart Crafts above?) If not, a quick google search of your fabric type will help you out. Now you have pre-washed your fabrics and pressed them, you are finally ready to begin sewing!